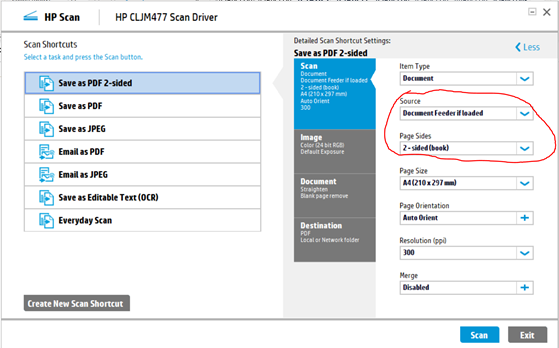 The HP Color LaserJet Pro M477fdw has a document feeder and it is able to scan a double sided (2-sided) document to one PDF leaving the pages as separate pages inside the PDF. 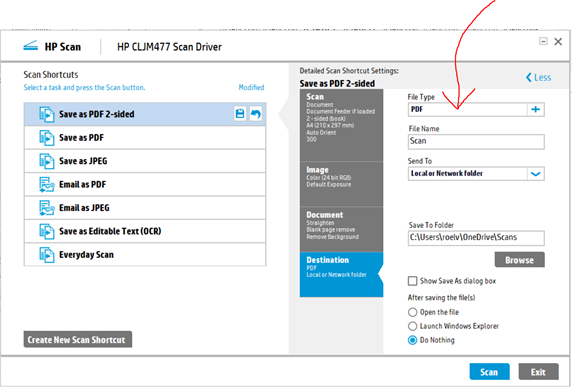 Install HP Scan (not HP Easy Scan). And now the important part, when clicking on the File Type “PDF” a new screen appears. 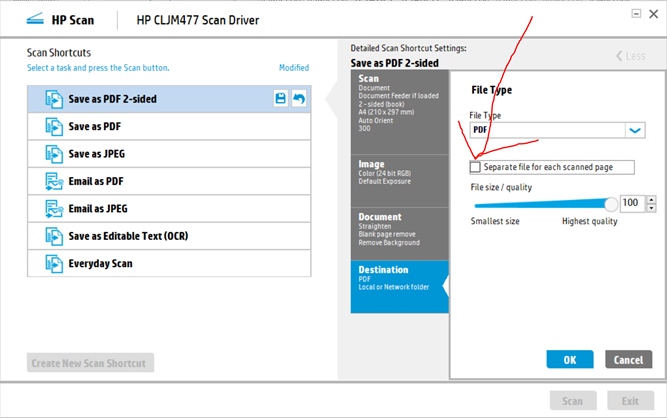 Make sure you disable / uncheck “Separate file for each scanned page”, then save the settings and scan the document. The double sided document will be scanned to one PDF file with 2 pages in it. Note: When you put multiple documents in the document feeder all sides of all pages will now be scanned to one PDF. The following link contains the documentation for the programming model available inside stored procedures, user defined functions, triggers etc. I got the error: Cannot read property ‘onError’ of undefined, when starting a PowerShell debug session in VS Code. Having troubles with Angular 6 and node sass on Windows 10 x64? I was getting all kinds of errors after upgrading my project to Angular 6 on Windows 10 x64, including errors on node sass. These errors were resolved after I removed the x64 version of Node en installed the Node LTS 10.13.0 x86 (32bits) version on Windows 10 x64. Errors ng build: Exit status 3221225477. 23 error Failed at the entry@0.0.0 build script. 23 error This is probably not a problem with npm. There is likely additional logging output above. A pull request build in Azure DevOps failed with the error: “[SQ] Task failed with status FAILED”. This was the only information given, when de build failed. 2018-10-30T10:51:56.3960616Z Execution failed for task ‘:sonarqube’. The problem was in the branch name, it accidentally contained a “]” character. 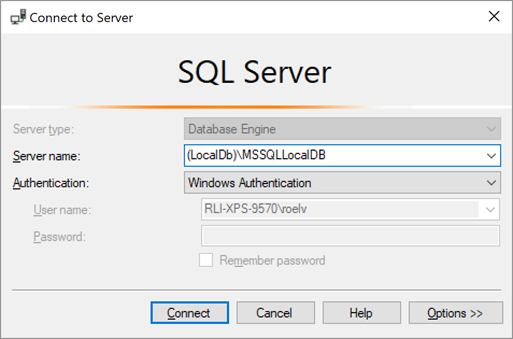 When Microsoft Visual Studio 2017 is installed, LocalDB is installed by default. 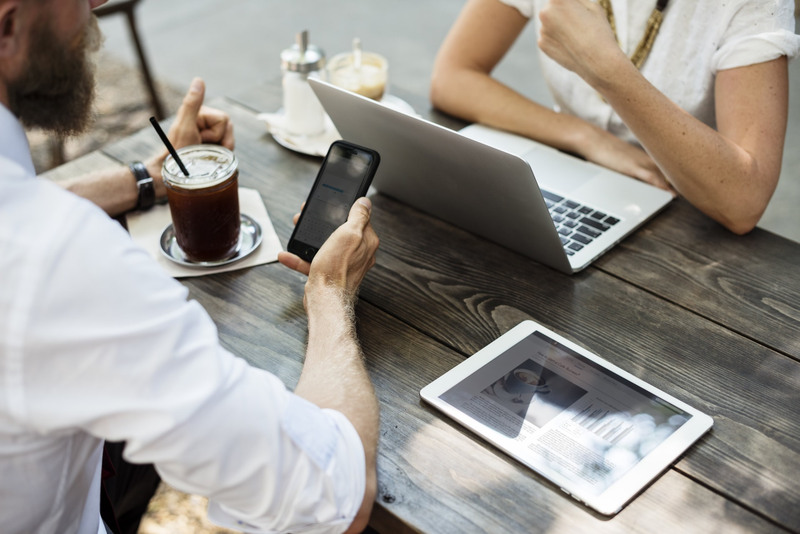 When you call a PowerShell function, that expects multiple parameters, with parenthesis, all parameters will be merged in the first parameter, as an array. The solution is, to call the function with named parameters.